When you’re dealing with a dental problem, your dentist should be your first call. But what if you encounter a problem on a holiday, weekend, or in the middle of the night? If you’re dealing with a severe dental problem outside normal office hours, you will likely need an emergency dentist or even an emergency room visit. It’s important to understand the difference between a standard dental issue that can wait until morning and a real emergency that can threaten your health or cost you a tooth. Here’s what you should know about recognizing dental emergencies. According to American Family Physician, about 22 percent of people have experienced dental or oral pain in the last six months, showing just how common dental emergencies can be. Do you have an infection? An abscess or serious infection in your mouth can be potentially life-threatening, and treatment should not wait. You may notice swelling or knots on your gums or swelling around the face. If you have any of these symptoms, you may be experiencing a dental emergency. Call your dentist immediately and describe what happened. If your dentist’s office is not open, you may need to go to an emergency dentist or the ER. If the problem can wait until your dentist can see you in the next couple of days, it isn’t a dental emergency. Sometimes problems that seem critical can actually wait for a day or so, as long as you take care of yourself. For example, a chipped or cracked tooth is an emergency if the fracture is very painful or has left sharp fragments that cause trauma inside your mouth. If the tooth is chipped but does not hurt, you can wait to see your dentist. A toothache can also wait for treatment as long as the pain is not severe and you do not have symptoms of an abscess such as swelling of the face, bumps on the gums, or a high fever. If you have lost a crown or filling, you can likely wait a few days to see your dentist. You can temporarily stick a piece of sugar-free gum into the cavity after losing a filling. With a lost crown, you can try putting the crown back in place temporarily with denture adhesive or over-the-counter dental cement — just don’t use super glue. 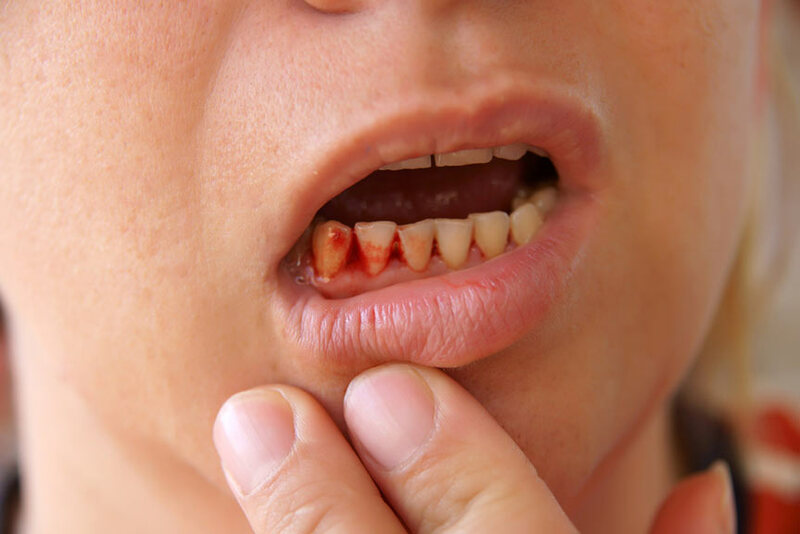 If you’re suffering from any of the following common dental emergencies, here’s what you need to know about caring for the problem until you can get to a dentist. 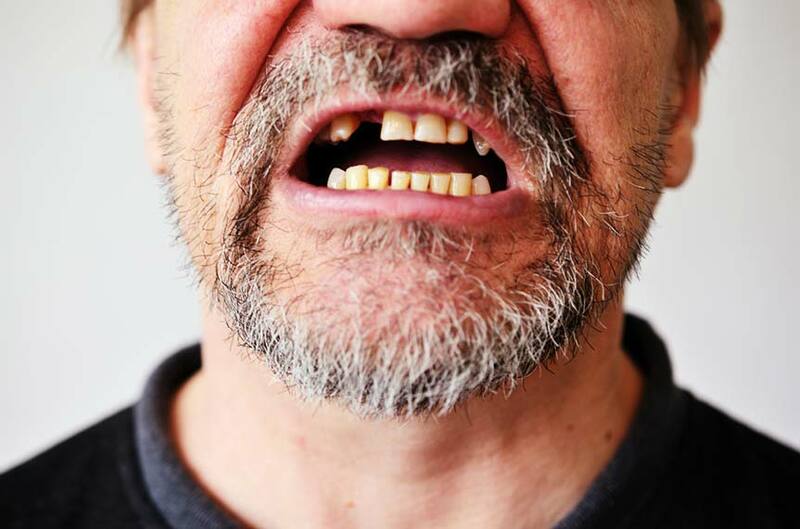 According to the American Association of Endodontists, with quick action after a tooth has been knocked out, it’s possible your dentist will be able to reinsert and preserve your tooth. Carefully pick up the tooth by the crown or the top, taking care not to touch the root, and carefully rinse it without scrubbing. If possible, reinsert the tooth in the socket. If you can’t, place the tooth in a small container of milk and get to the dentist quickly to increase the chances of saving your tooth. If you have a very painful or serious fracture, clean your mouth with warm water and apply a cold compress to the outside of your face to reduce swelling. Take acetaminophen for the pain but avoid using a painkiller or numbing gel because it can damage your gums. A dental abscess is a severe and potentially life-threatening condition in which a pocket of pus in the tooth has led to an infection. A tooth abscess may cause fever, tooth sensitivity to hot and cold, a persistent toothache, tender lymph nodes in your neck, swelling in the face, and a pimple-like bump on your gums near the infected tooth. This condition is an emergency as the infection can spread into your jaw, surrounding tissue, and to other areas of the body. Before you can see the dentist, rinse your mouth with mild salt water several times to reduce the pain and draw the pus to the surface. The best way to prevent dental emergencies is to stay proactive in your oral hygiene and have routine check-ups with your dentist. During these visits, your dentist will check for loose fillings and crowns as well as signs of decay, infection, and gum disease. A custom treatment plan can be created to address these problems before they develop into an emergency. You can also pay attention to what your teeth and body tell you to watch for signs that you may be heading toward an emergency. Although a comprehensive dental hygiene routine can help keep these circumstances at bay, dental emergencies happen. If you’re dealing with a dental emergency, time is of the essence to prevent the situation from getting worse. Absolute Dental has dentist offices in Reno and Las Vegas, NV to help you if you are experiencing a dental emergency.